Home / STORE / Asas Tomtebods / Tomte / Nisse. / Jacob and Niklas. Throughout the years, many experiments have taken shape, but some never get further than the experimental stage. On the other hand, I am very pleased with the two brothers Jakob & Niklas. 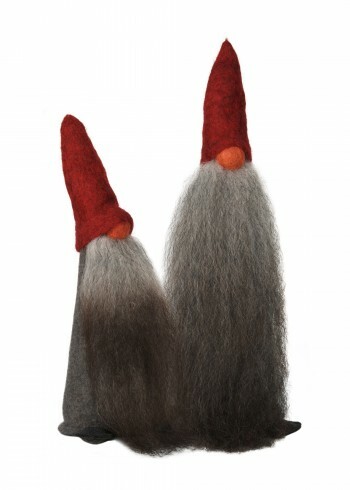 They are based on our classical bearded tomte, but still have their very own profile, a slightly cockier radiance. Yet, what do we mean by a pair of brothers? Are they not alike perhaps? Well, in fact, the inspiration for the two figures was drawn from two brothers in the family.